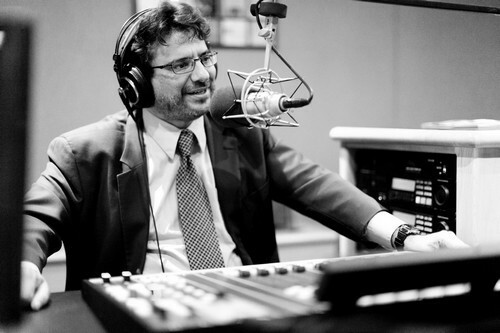 Author: Larry Berger, Executive Director of SLB Radio Productions. 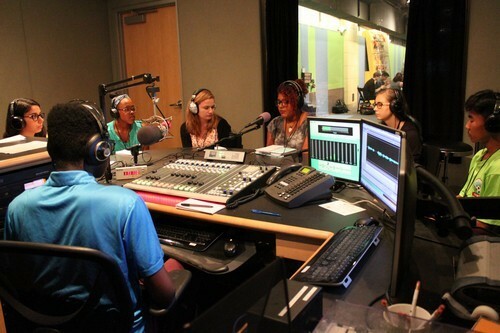 Since 1978, SLB Radio Productions, Inc. (SLB) has created award-winning public radio programming combining music, interviews, telephone talk and live performances from youth and adults. We distribute our programming to seven FM radio stations, two cable television stations, five Internet radio stations and aggregation services (e.g., Tune In, Simple Radio) and our own website at slbradio.org. We also provide workshops focused on self-expression and journalism to approximately 2,000 teens annually. After being housed within a traditional FM station for 25 years, we decided to build our own suite of studios to support our radio programming and workshops. After years of planning, these studios came to life in 2004 when we co-located our operations to the Children’s Museum of Pittsburgh as part of its $20 million expansion. With considerable industry, foundation and listener support, we are fortunate to have created the studios of our dreams so that we can create high-quality radio and workshops. Our equipment includes audio consoles from Logitek Audio and Studer, microphones from AKG, Heil and Sennheiser, telephony equipment from Telos Systems, and other gear from the world’s leading broadcast equipment makers. This includes SAM Broadcaster Pro and SAM Broadcaster Cloud from Spacial Audio. After careful evaluation leading to their selection in 2004, these Spacial Audio systems created the backbone of our library, playout and automation systems. More importantly, they have stood the test of time, growing in features and functionality that have kept these systems at the head of the class despite numerous changes in digital audio, streaming technology and recordkeeping requirements. SLB has a library of over 60,000 mp3 and wav tracks, all stored on a network server. A SAM Broadcaster fundamental is that SAM Broadcaster accesses these files by way of a database (installed as part of setting SAM up) as opposed to directly. The database contains title, artist, album, play history, playlist categories and other track-specific information as well as the path to the actual audio file. As a result, SAM Broadcaster allows us to search our library with instant results since the search is based on this data (vs. the audio files themselves, which take up over 60 GB). This feature alone – at the core of SAM Broadcaster and SAM Broadcaster Cloud since their very beginnings – is simply amazing and is a concept I explain again and again to fellow broadcasters that are wowed by this fundamental principle. It allows us to create playlists, find requests, update metadata, add track-specific notes, review spin counts, print logs and perform hundreds of other tasks on the fly. And, of course, we can also play music…beautifully and perfectly by simply loading a SAM Broadcaster track into a SAM Broadcaster Player in much the same way as one would load an actual mp3 file into Windows Media Player or iTunes – except in the case of SAM Broadcaster, it all happens instantly and with complete user control. We maintain six SAM Broadcaster licenses, each installed on a PC and each configured to work with the same music database to simplify our work flow. As a result, I can use SAM Broadcaster to create and save playlists at my desk with confidence that they will be accessible and playable when my studio shift begins. When it comes time for reports to ASCAP, BMI, SESAC and SoundExchange, I can export data from any of our PCs to get the data we need. A track-specific settings that allow cue points, fades, gain levels and other parameters to be set on a non-destructive basis (e.g., SAM applies the recipe stored in its database, but the original mp3 or wav file remains unchanged). Instant gathering of metadata, Amazon purchasing links and song lyrics. Versatile desktop views that can be as complex – or simple – as users desire. While SAM Broadcaster can be configured to run without an external mixer, SLB operates using standard broadcast consoles to mix multiple audio sources. As such, a critical aspect of Sam Broadcaster is the way it interfaces with standard broadcast equipment. Fortunately, this is easy! When we’re operating live, SAM Broadcaster is configured as a high-end playout system with its Playback Decks outputting to faders on our mixer (two stereo channels are supported) where it is combined with microphones, phone hybrids, and other sources originating from beyond SAM. The output of our mixer is then fed back to SAM’s encoders for delivery to radio stations, aggregation services and direct listeners. These modes can be customized to meet virtually any requirement. In the event we want to feature automated programming, we can change SAM settings to continue to play through our mixer or directly to the stream. With the advent of SAM Broadcaster Cloud – we can allow the cloud-based system to take over at the touch of a button – seamlessly and perfectly. SAM Broadcaster Cloud is worthy of its own article and is a powerhouse, whether used alone or in conjunction with SAM Broadcaster to create great-sounding automation that can be managed with precision. Limited space allows me to only touch on the features and integrity of these products. As with anything new, you may need to learn principles and methods that are at first unfamiliar. Fortunately, there is an outstanding community forum, detailed documentation and a ticketed help system that has never let us down when we’ve needed it. After 12+ years and tremendous changes in our operations and technology – including an occasional look at competing products – we continue to rely on Spacial Audio as not only the best product for us, but also the product we consistently recommend to our colleagues.